Welcome to the Order of the Arrow! You have been elected into the Boy Scout’s National Honor Society. Where do you go from here? Your first step is to attend a Call Out Ceremony. We hold one every Wednesday evening at Camp Bucoco during Boy Scout Summer Camp. 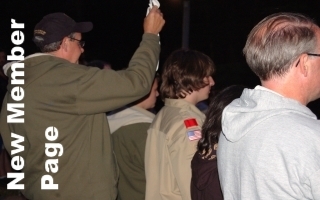 If you are going to an out of council Boy Scout summer camp you can attend the call out ceremony at that camp. Your unit leader must get a letter from Kuskitannee Lodge giving permission to go out of council. The Call Out Ceremony is public recognition of your being elected into the OA. If you can’t make it to a ceremony you can still attend an Ordeal weekend. Note: You must do your Ordeal in the council where you are registered. You can not do your Ordeal with any other lodge. You must attend an Ordeal weekend to become a member. Kuskitannee Lodge holds two Ordeal weekends per year, one in August and one in April. You must attend one of these two events. If you can not make either one you must be elected again if you wish to join the OA. The calendar has the dates for our Ordeal weekends. What happens during the Ordeal weekend? Plan to arrive before 7PM for registration. You will sleep under the stars Friday night. You will do service all day Saturday. You will be given a small amount of food during the day but will have a large dinner Saturday evening. After the ceremony Saturday night we will have activities and snacks. You can sleep in a building or bring your own tent if you want to sleep outside. After breakfast, we will have a meeting Sunday morning to give you your patch and handbook and tell you about the OA. We will also have a Lodge business meeting Sunday morning. Plan to leave after 11AM. Sleeping bag, Ground cloth, Rain gear, Work clothes, Work gloves, Class A uniform, Bring other items you might normally bring on a campout for Saturday night. You can sleep in a building or bring your own tent. Things not to bring: Food, Electronic games, music players or any other electronic devices. After you complete your Ordeal you are a member of the OA. You can attend all Lodge events. We hope you come to another event to see what the OA is all about! After ten months as an Ordeal member you can take the Brotherhood test and seal your membership in the OA. The OA has a national program to help new members learn about our organization. It is called Jumpstart. You definitely should check it out. You will need your handbook for the password. Click here to go to OA Jumpstart!